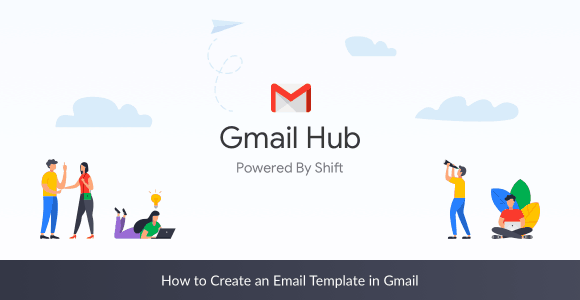 Did you know that creating an email template in Gmail could save you more time than you realized you had? You’re about to have your mind blown. Composing every single email from the get-go is exhausting. Especially if you’re a freelancer sending upwards of 100 emails a day from multiple Gmail addresses using Shift. Even when you copy and paste the words, it feels tedious. And hello! That time is your time to do other things. This is why Gmail’s email template feature is damn near a lifesaver. Canned responses—or email templates—are a clever feature implemented by Gmail. It allows its users to create and save a bunch of templates which can shave off hours of your work hours. You can also set them up in less than a minute. If you quickly want to activate your templates, it’s even easier. Although canned responses are no automation software like MailChimp, they’re one of the best ways to save time on the busiest of days. What’s better than saving time so you can take a nap?